If you've been watching my Instagram (@rochellemiko) stories, you have probably seen me sharing what's inside my car and that I always have a stash of my favorite Fitbar. Are you always in and out of meetings, at the gym, getting stuck in traffic, or logging long commute hours without a healthy snack in sight. 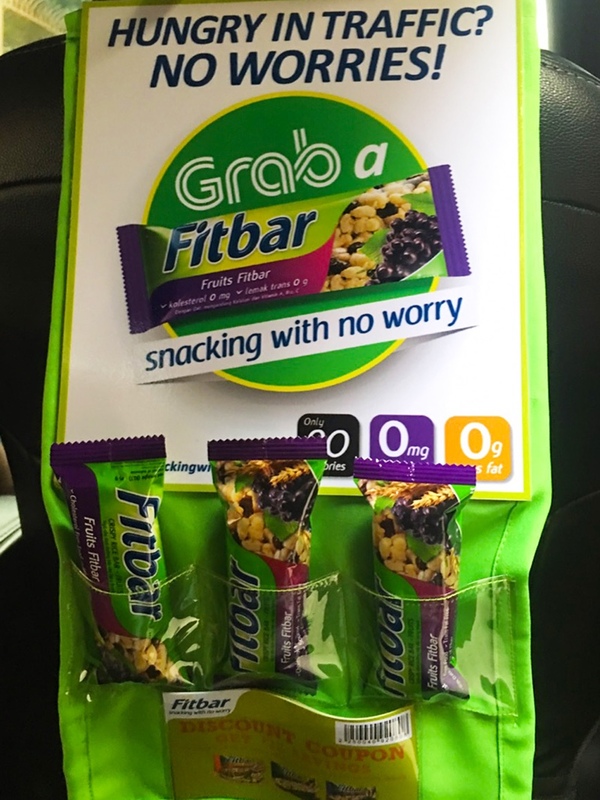 Well, it is time to put snacking worries in the past as Fitbar Philippines and Grab Philippines team together to bring to the commuters the "Grab-A-Fitbar" Project. 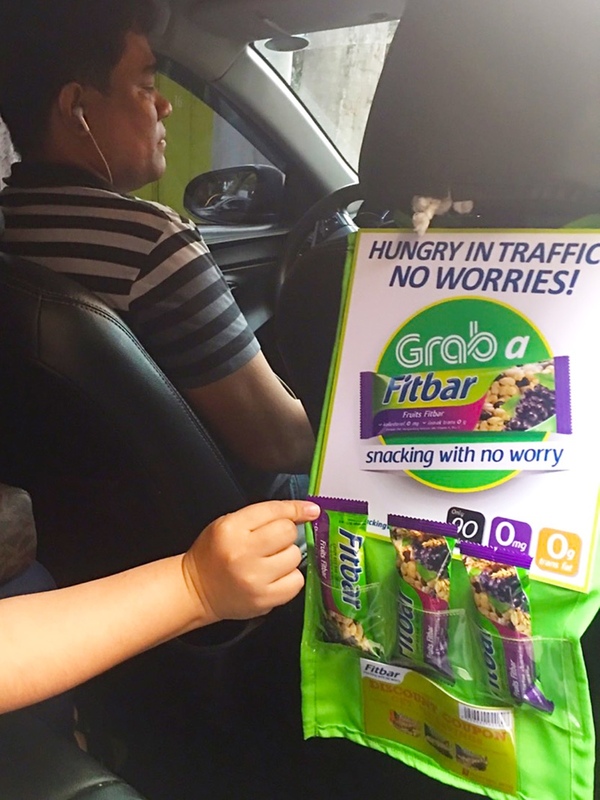 Inspired by the deep struggles of the local Filipino trying to find their way home via their local commute, the “Grab-A-Fitbar” project aims to alleviate the hunger pangs and snack worries of those stuck in traffic in Manila’s urban jungle. Being a loyal Grab user, and loving the attitude of Grab drivers, I remember one time that I was stuck in heavy traffic for almost 2 hours. I was hungry already and I remembered that I have a Fitbar in my bag. I shared the Fitbar with the driver, and he was so thankful,” shared Diana Aaron-Ong, Brand Manager of Fitbar. I wanted to share Fitbar to other drivers and passengers too, to relieve them from hunger during heavy traffic. Grab provides a safe, convenient and affordable transportation option to move around the city,” stated Cindy Toh, Country Marketing Head of Grab. “We are honored to be partners with Fitbar Philippines to help our fellow citizens not only reach their destinations way but also do so with healthy snacks in hand. Based on a research we recently conducted, we found out that most Filipinos experience intense hunger while driving or commuting,” explained Aaron-Ong. Filipinos are becoming more and more health conscious about their snack choices. They want tastier snacks, which may be unhealthy, thus leading to guilt afterwards. Aaron-Ong continues, “Fitbar can satisfy these cravings, minus the guilt. Fitbar provides ‘snacking with no worry’. 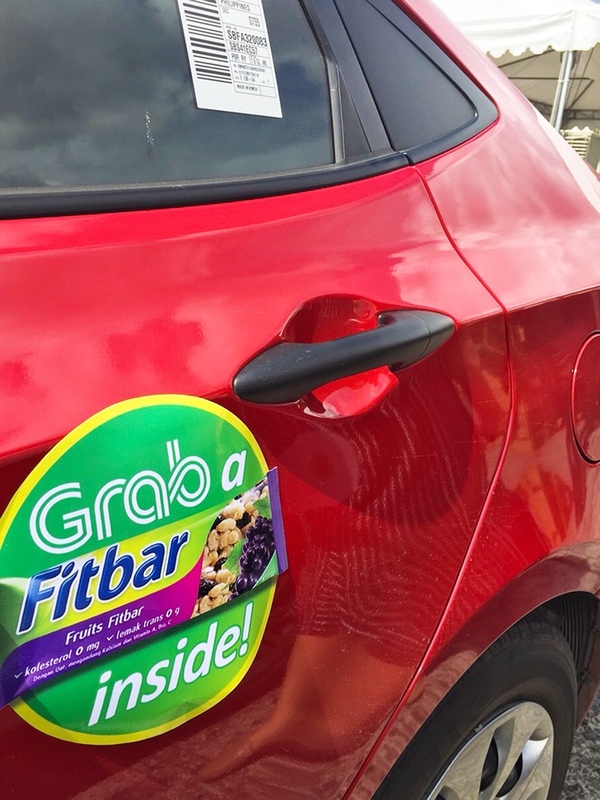 The “Grab-A-Fitbar” program aims to reach 100,000 passengers within Metro Manila, including provincial key cities in the Philippines as well. 2. Fitbar is free from cholesterol, free from trans fat. 3. Fitbar's finest ingredients is oats, which is a good source of fiber. 4. Fitbar contains Calcium, Vitamin A, B12, and C.
5. Fitbar contains only a small amount of calories. 6. Fitbar has only four grams of fat per serving. 7. Fitbar is a guilt-free snack you can chew on. 8. Fitbar is sold in three delicious flavors: nuts, fruits, and chocolate. 9. Fitbar. Snacking with no worry! So cool! No worries na pala pag traffic. My fave is Nuts Fitbar.